New month = new monthly favouries. And I really love all the products below. Makeup wise, I had pretty much the same favourites, as in March: , RBR eye shadows in Solstice Halcyon, Marc Jacobs’ Lola nail polish, NYX’s Taupe, Peter Thomas Roth CC Cream and Clarins’ gloss. This month I just have to mention two brushes. First of all, I’ve been using a “classic” flat foundation brush. I usually apply bases with my fingers or kabuki Sigma brushes but I’ve decided to start using those original foundation brushes again. So, I’ve been loving this one from Lancome. I still remember how much I wanted to buy that set, my friend bought it for me in the States. And I like the results and the finish it creates. My other brush hero is Rouge Bunny Rouge’s Face Contour Brush 012. This is a brilliant tool for contouring, more details coming soon. I often get asked about the affordable skin and body care. Is it even possible to find great options without spending too much? Turns out it is! So, what about my favourite [not expensive] face and body creams? They both are actually from the same brand – Garnier. 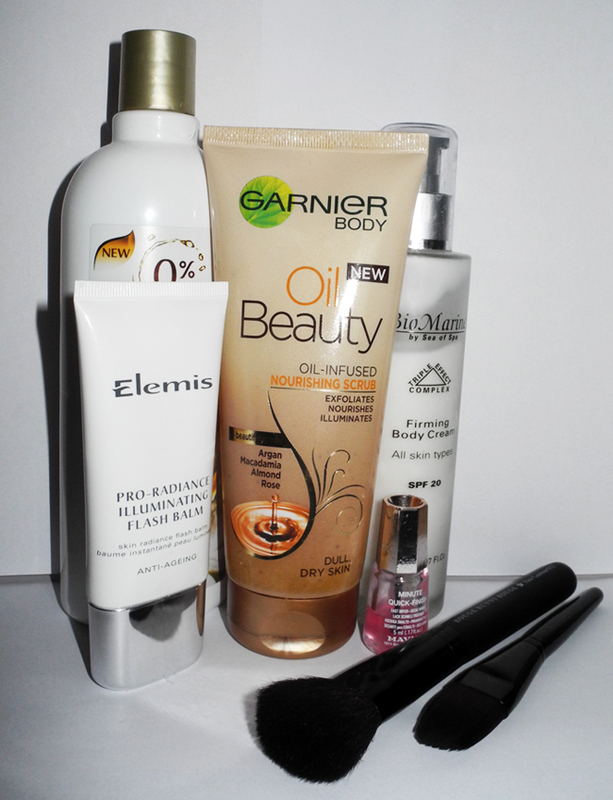 In fact, I love tonnes of Garnier products, and will probably share about my other favourites pretty soon. I have very dry skin and not that many products work for me… But these two rock, especially considering the price, I am very impressed! 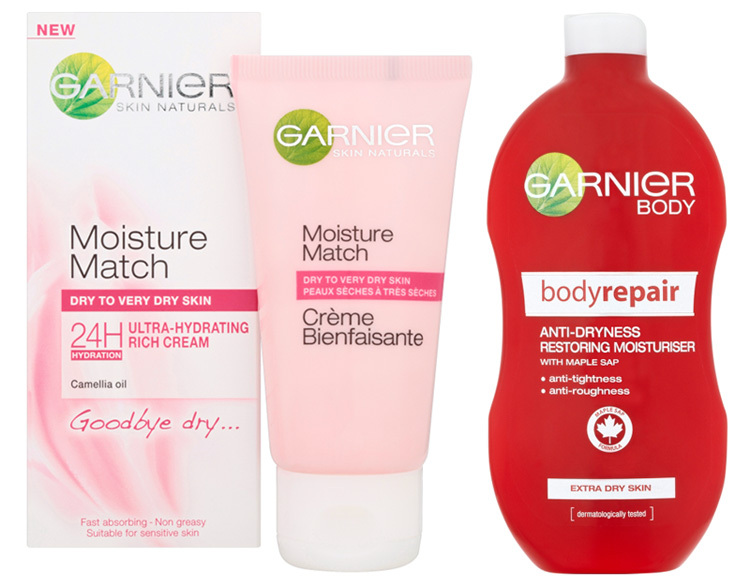 I am using the stock images since I have just used up Garnier Moisture Match Ultra Hydrating – Goodbye Dry (50ml £5.10) and used up Garnier Body Bodyrepair Anti-Dryness Restoring Moisturiser Extra Dry Skin (400ml £5.20) a long time ago. In fact, I’ve gone through two tubes of it, and need to get a new bottle. 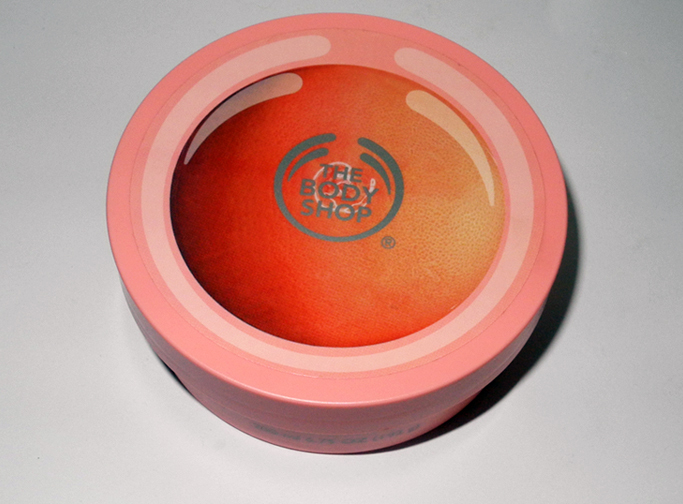 The Body Shop Pink Grapefruit Body Butter. I think these butters don’t need any introduction and explanation, they are fantastic. This particular one was a present from the boyfriend which made even more special. Did you know that The Body Shop celebrate 21st anniversary of their famous body butters this year? I did not know about it when I’ve added “citrus body butter from The Body Shop” on my Christmas wish list. This was the only beauty related product I’ve asked for! These body butters are loved by some many people and I am not an exception. I find that they are rich and moisturizing (with pink grapefruit seeds oil, cocoa and shea butters) without being greasy or oily. The product absorbs quickly, so I don’t have to wait for ages until I can get dressed. Today it’s time for part three of my 2012 beauty favourites and it’s all about body care and, I think, regular readers won’t be surprised by any of my picks. 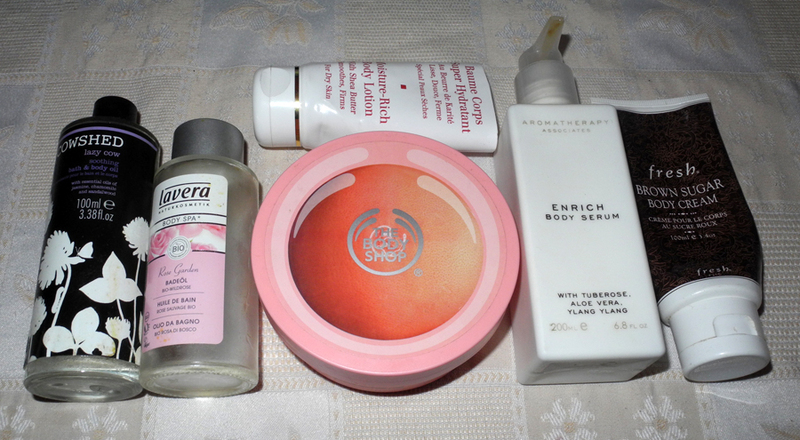 Especially considering that most of the products are from my favourite skincare brands. For some reason in 2012 I’ve started using soaps instead of shower gels. Long gone are the days when soaps were harsh and drying, these days you can get some luxurious, creamy ones. 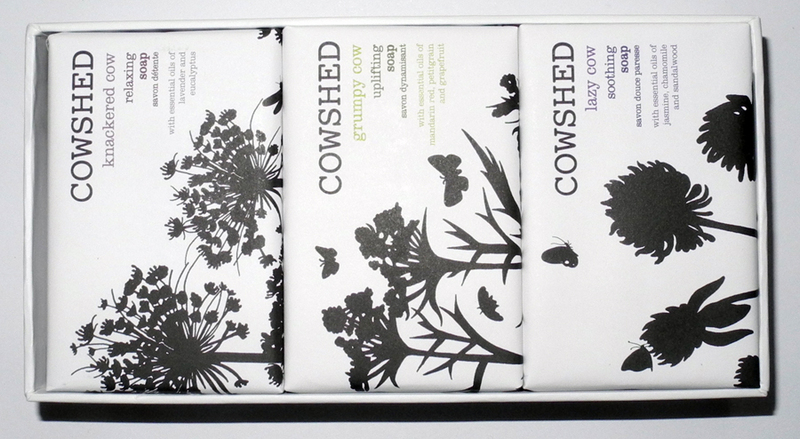 I am absolutely in love with the set I’ve bought from Cowshed, would like to try other soaps the brand offers in the future. 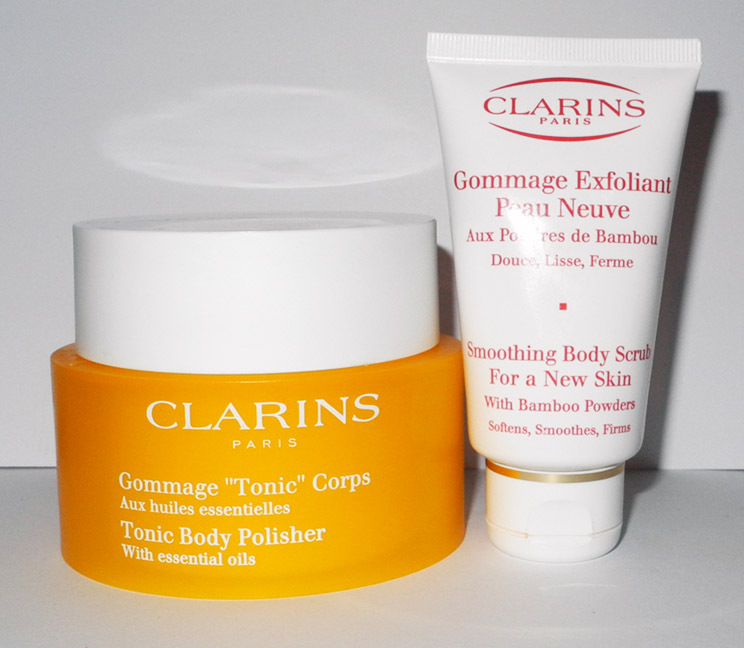 Clarins have two body scrubs and I have written about both but my favourite has to be Toning Body Polisher (yellow one). Want to know why? Keep reading.